What better way to celebrate a Barcelona/Barca win (or drown your sorrows) than by going out on the town near where all the magic took place. Camp Nou, home to Barcelona's renowned football (soccer depending on where you live) team is a fun way to kick off an evening and it's also a great epi-center for nightlife in the city. The fact that it's not in the heart of the Old City and downtown core, provides for a very local and often more subdued crowd and a variety of posh, rustic and very hip clubs to frequent. Even if you haven't just seen a game but want to venture off the beaten path, this is a great way to delve into how the locals live and get a taste for another side of Barcelona's edgy club scene. If you're in the mood to throw on heels and a tie or want to keep your sandals and shorts on, there's something for everyone in this part of town. And if you're up for taking a quick and fairly cheap taxi ride, there are even more options both closer to and farther away from the Gothic Quarter, Born and Eixample neighborhoods where people typically tend to spend their evenings. 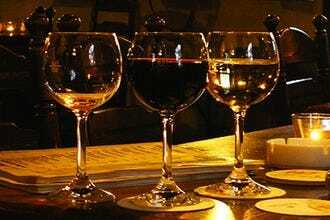 The restaurant-club-terrace Ribelino's is one of the finest and most exclusive hot spots in the city. Located just off the Diagonal Barcelona, it's an upscale locale with impressive aesthetics. 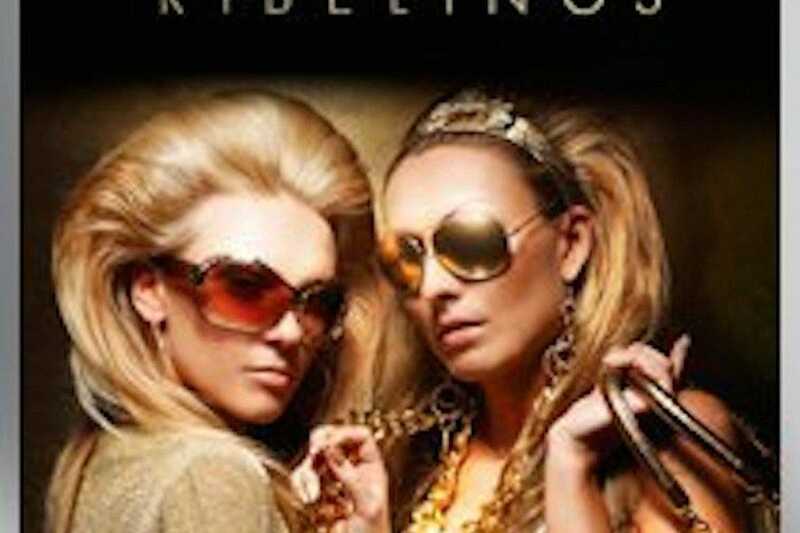 With a clearly defined target and fussy dress code, Ribelino's fills up every weekend with people who like to flash the cash. It very well could be deemed the more mature version of clubs like Sutton. This isn't too far from Camp Nou, just a quick taxi ride or metro. It's the place to be and be seen and a wonderful way to celebrate after a Barca win or take the edge off, depending on how the game goes. You can't go wrong with Moto bar. This is one of the best burger joints in the city with delicious veggie options as well. Situated in an eclectic setting near Camp Nou, the restaurant is decked out with motorbikes and provides for a fun ambiance. They have music and best of all a wonderful terrace for warm summer nights, although it's open all year round. 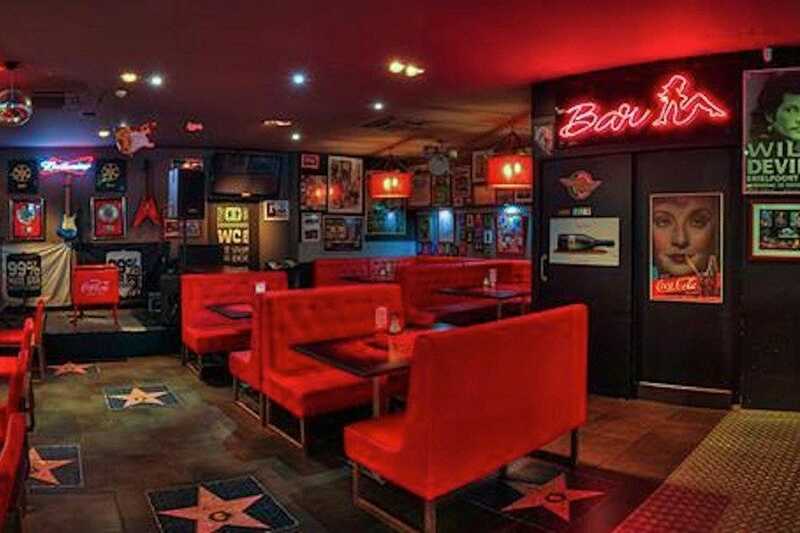 The red velvet booths and rock n' roll motif make Moto Bar a relaxed and really fun place especially for high school students and those looking to grab a bite before or after a Barca game. It also serves as a late night pub so even if you're not hungry definitely head over for a drink and some music. In search of a trendy and elegant locale for a fun night out? Look no further than Elephant Club and lounge in Barcelona. 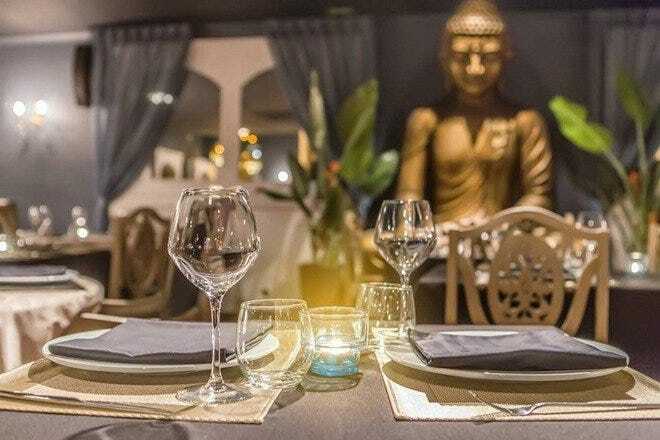 One of the Catalan capital's best hot spots, this chic club is split into four areas with the most notable being the Marquee- decorated with bronze elephants, Buddhas and a dash of Indo-China decorations. 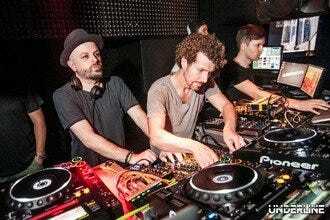 If you're looking for a mix of house, funk, and top hits this is a great place to spend the evening. With the separate areas you can kick off the night with 90's tunes and end with blues all in the same locale. 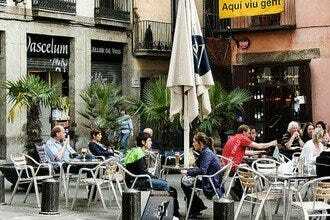 This is the place to be and be seen in Barcelona and it's not far from Camp Nou Stadium. Featuring live music, performances, this Barcelona club is situated in Les Corts and doubles as both a venue for live gigs and one of the chicest spots to enjoy a cocktail (or two!). The slick interior of this stylish club is the perfect backdrop for a memorable night, as you shake down to the latest hip hop and R&B tunes or house music spun by some of the most famous DJs in the industry. 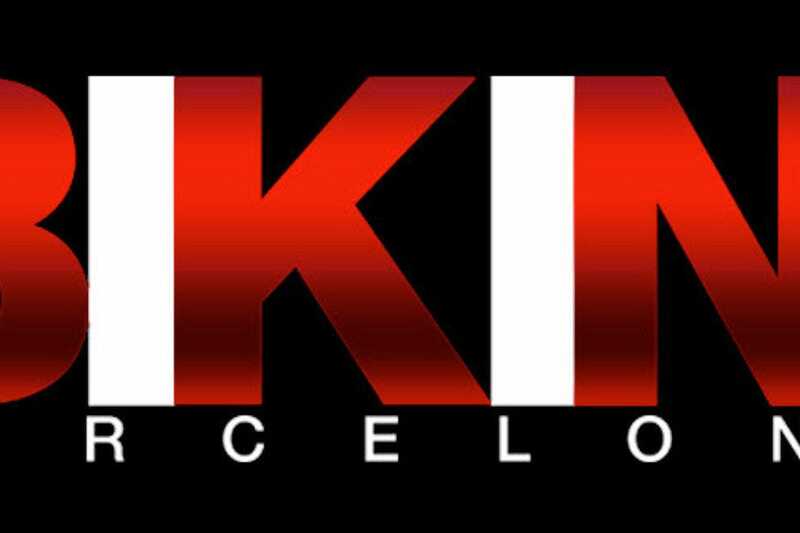 Bikini is a well-known Barcelona staple, especially amongst Catalans and expats in the 'know'. It's a sure fire way to get the most of your evening especially if you want to stay close to the football action. If you're into design and are looking for a place with exquisite decor, this the place to be. Konbe Cocktail bar is THE lounge to try out if you're looking for a relaxed setting with cool people, delicious cocktails and a stunning restaurant. Situated close to Camp Nou Stadium, this is an ideal place to come for post game cocktails and a few snacks before getting it on on the dance floor. 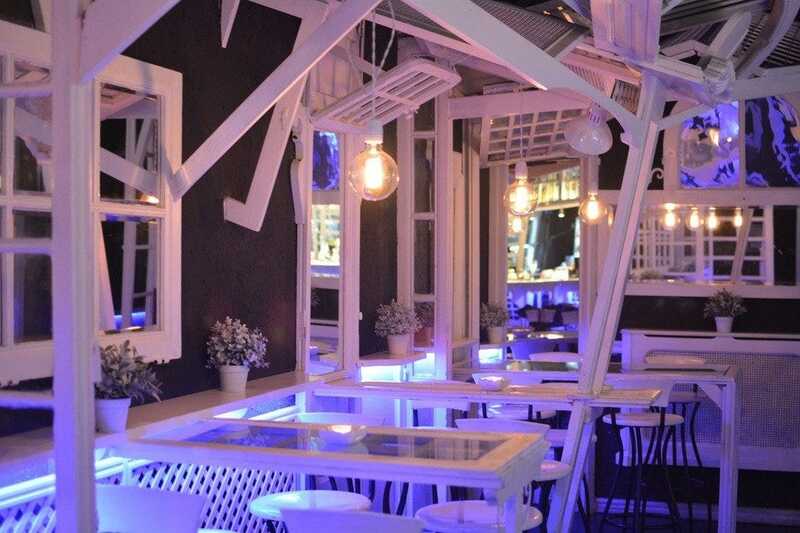 Konbe's attention to details is un-matched and even if you're not in the mood to drink or socialize it's worth visiting just for the ambiance and the gorgeous creativity. 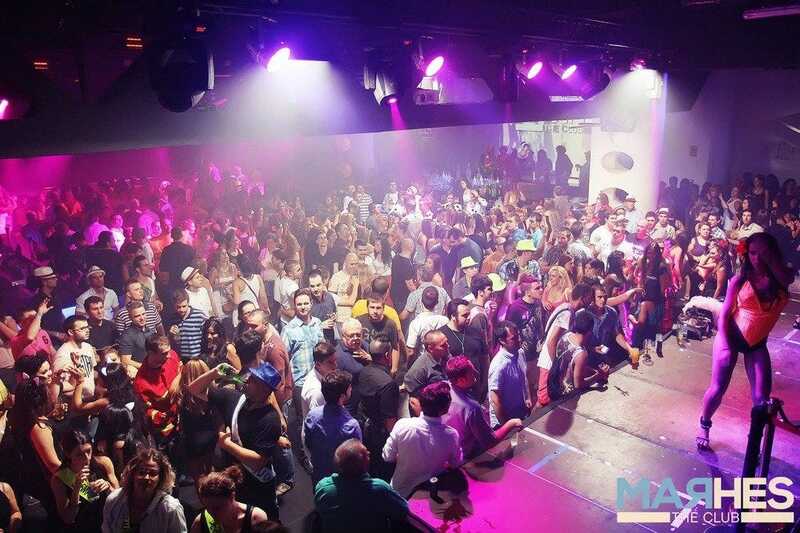 Marhes Club is a unique and innovative Concept Club that will put Barcelona on the map as one of the trendiest destination in Europe. This is a great multi-space restaurant, music venue and club. Ideal for people looking for a new and innovative Barcelona experience, it's fresh, fun and a wonderful evening out with amazing music, and a great crowd. 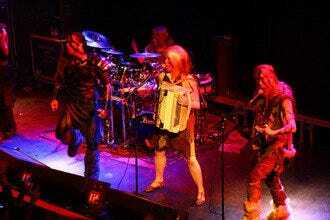 Marhes has live music on certain nights, so be sure to check the schedule online or on Facebook. They also serve delicious food and it's worth going early for dinner so you have a table and then stay for the rest of the night. Located inside a majestic villa once owned by one of the Barca players, comes this family oriented salsoteca. 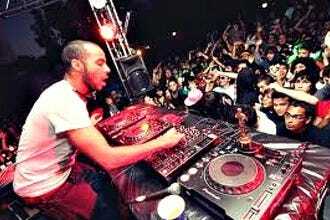 In it, a strong predominance of Cuban rhythms, most notably La Salsa (Havana, Miami, or New York). It's also equipped with a terrace that's open all year round. 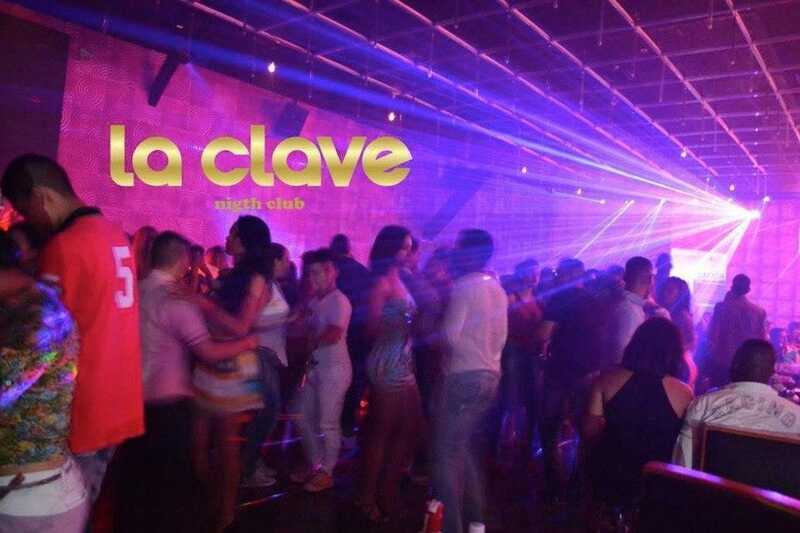 La Clave (clave meaning key/password) in Spanish is a secret gem amongst many of the posher clubs close to Camp Nou Stadium. It's a fun alternative to the hip hop and techno beats around the corner and takes people back to their Salsa routes, even if they don't have any to return to. This is a great evening and you might even spot some Barca players shaking their hips. 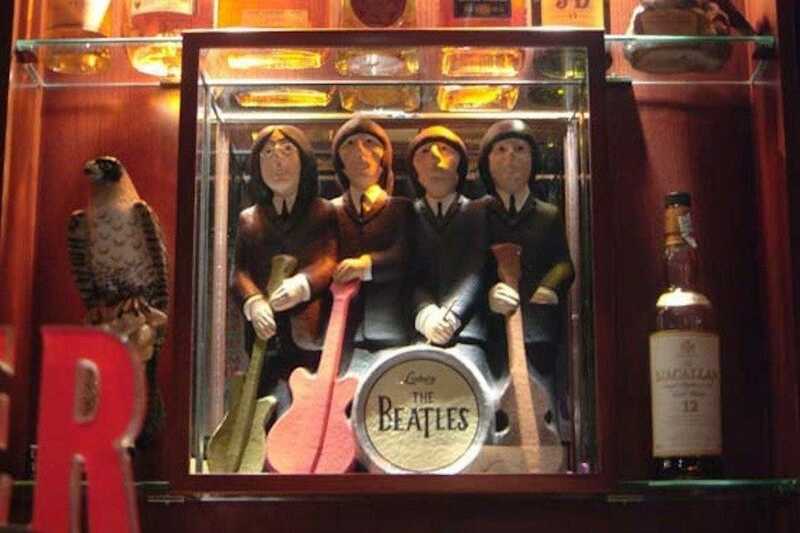 It has the look and the comfort of a traditional British pub, all decked out in Beatles attire, a group of which the owners worship with true devotion. So much so that every Monday thru Saturday, and for over twenty years, Joan and Ricky play live editions from their early days, such as Norwegian Wood, All My Loving, From Me To You or Get Back. This is a one of a kind pub in Barcelona, perfect for those craving a bit of John and Paul in a warm and inviting atmosphere not far from Camp Nou. Be sure to check out their live sessions. This Barcelona club offers a different take on a night out. 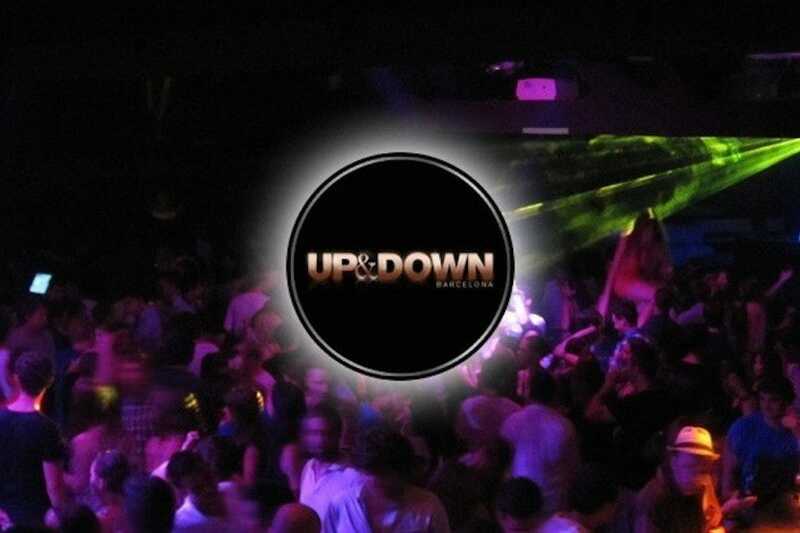 Situated in Les Corts, this venue is known for hosting the best university parties on Thursday nights, as well as theme nights like 'Fresh Fridays' and 'Maybe' on Saturdays, meaning there is certainly something for everyone here. With two floors, one 'Up' and one 'Down', choose to boogey the night away to fresh tunes, hang out in the VIP suites, or grab a drink on the terrace. This isn't only for university students, Up & Down caters to people of all ages, as long as you're up for a good night you'll fit in well. 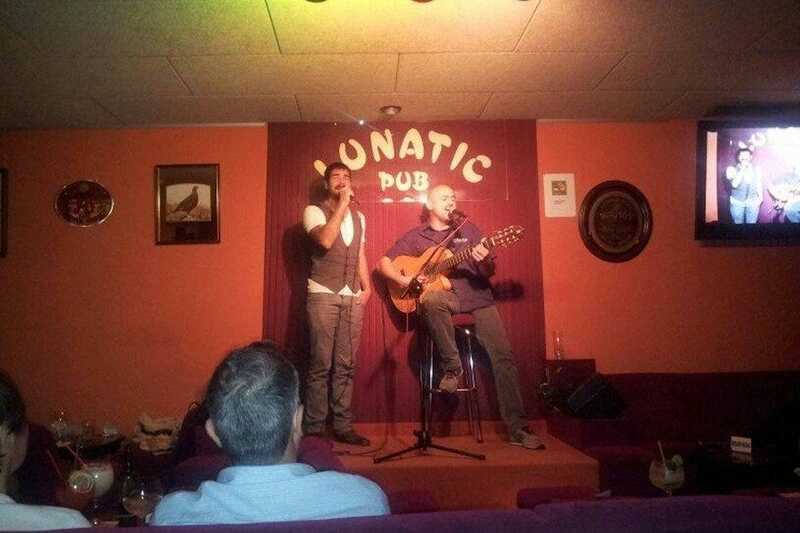 Club Lunatic is a great place to spend an evening. It has great music, cocktails and live nightly performances so be sure to check the schedule to see what's on the roster. This is a dim and cozy locale with sofas that area ideal for couples looking for a romantic evening. 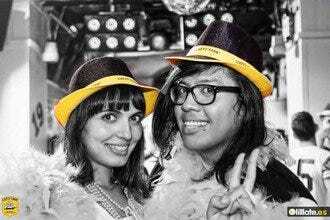 It's a fun way to spend a night, close to Camp Nou and open until 3am. The live concerts and open mics provide for a very unassuming atmosphere, which is great if you want to take it easy, kick back and relax with good people or have a few drinks before going out until the sun comes up at a club right around the corner.